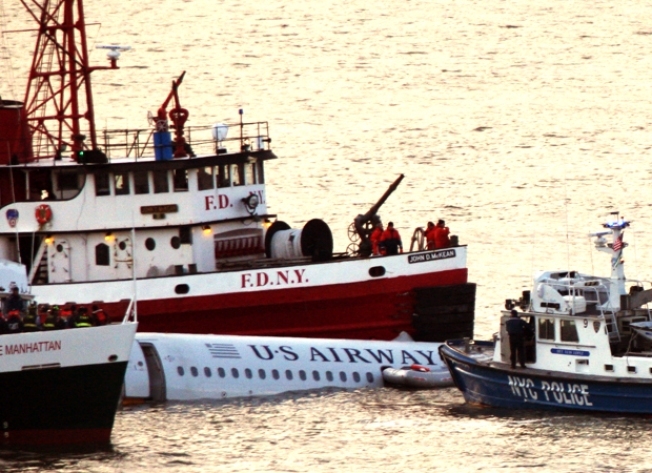 Rescue boats swarm the Airbus 320 US Airways aircraft that went down in the Hudson River Thursday. Gov. Jon S. Corzine greets New York waterway rescuers a day after their heroic efforts to save the passengers of US Airways Flight 1549.